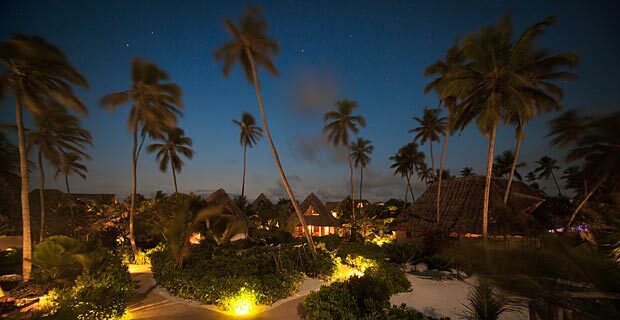 The Green & Blue Ocean Lodge is very privately located and decorated in typical island style. 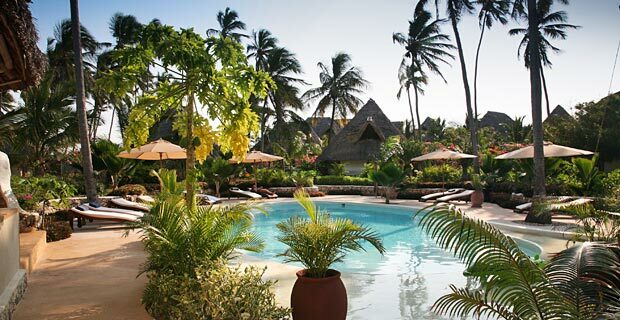 The bungalows are spread across the grounds and have Makuti-roofs that are made from dry palm leaves. 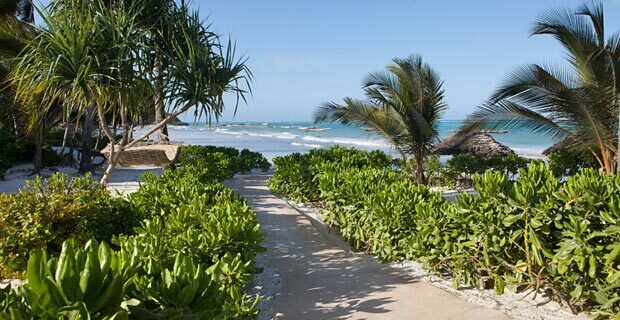 Situated along the exotic south sea, this boutique lodge on the north eastern coast of Zanzibar looks upon the small island of Mnemba, which is known for its terrific diving and snorkelling opportunities. The lodge is ideally situated to relax and leave all your troubles behind. 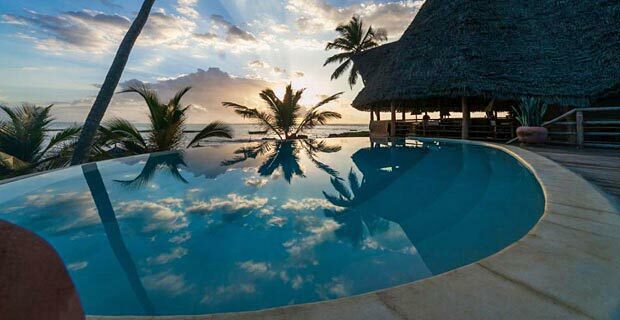 There are three pools for you to enjoy, or you can visit the hotel’s spa for even more relaxation. 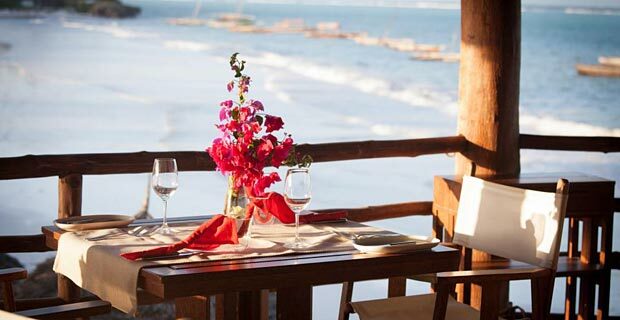 Breakfast can be enjoyed at the restaurant, on your private patio or on the beach. 24 hour service is available, as well as free WIFI throughout the whole complex and a souvenir shop. 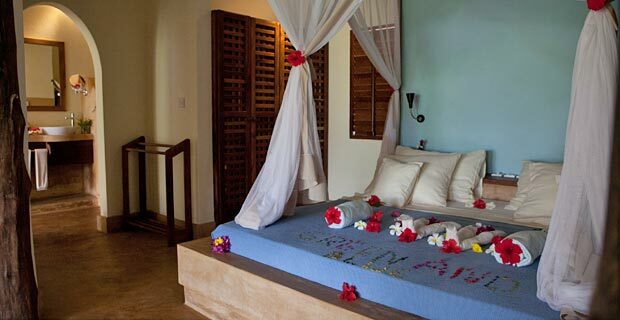 Every one of the 13 bungalows are lovingly decorated in the Zanzibari style. 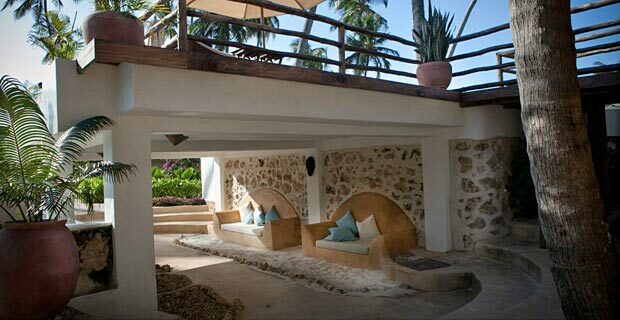 The open design allows for a cool breeze and you can refresh yourself in the private outdoor pool. The owners wish their guests the utmost rest and relaxation – therefore renouncing all electronic devices, i.e TV etc. 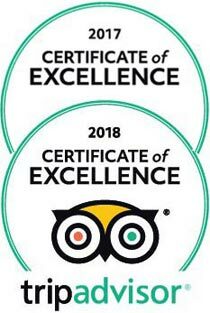 Various activities such as diving, coral reef walks, kite-surfing, dhow cruises and day trips in the surrounding area are offered by the hotel.